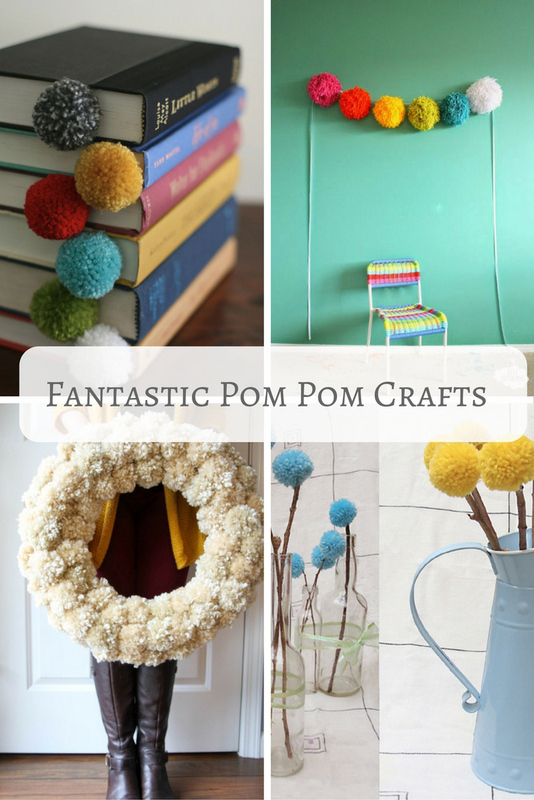 Pom Pom Crafts : Who doesn’t love a pom pom? So soft and colourful, great fun to make as a child or adult. It is also a great way to use up all your yarn scraps. 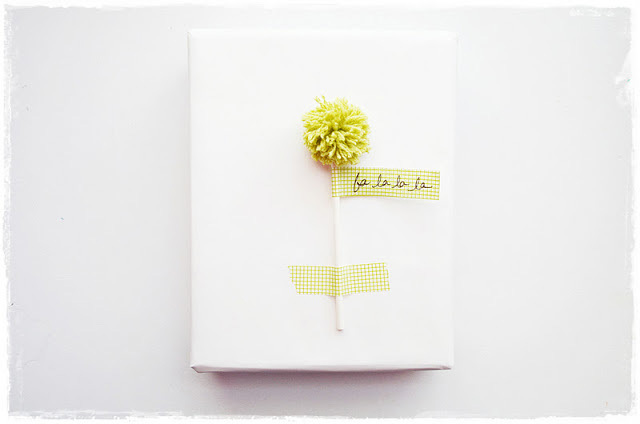 With my paper bunny treat bags I show a really quick way to make lots of pom poms at once. 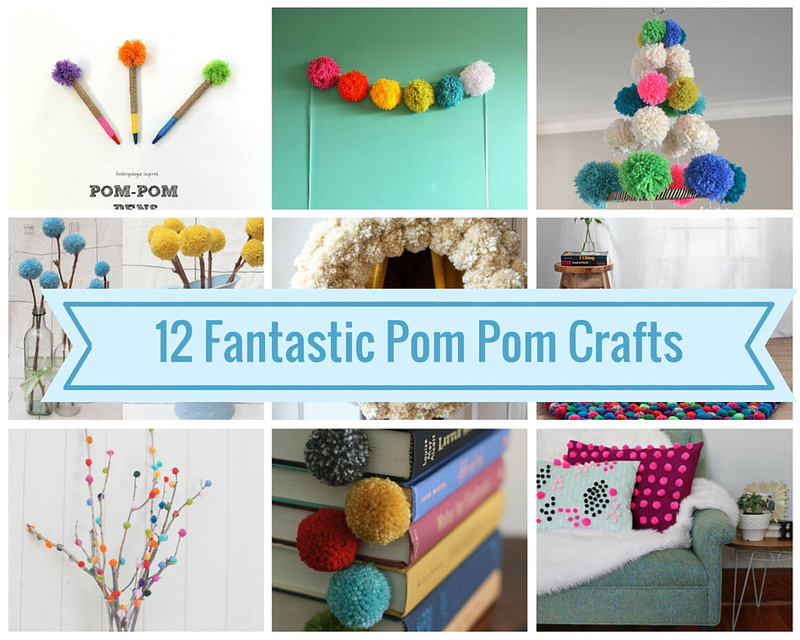 Hopefully the crafts I’ve chosen will give you some pom pom inspiration! 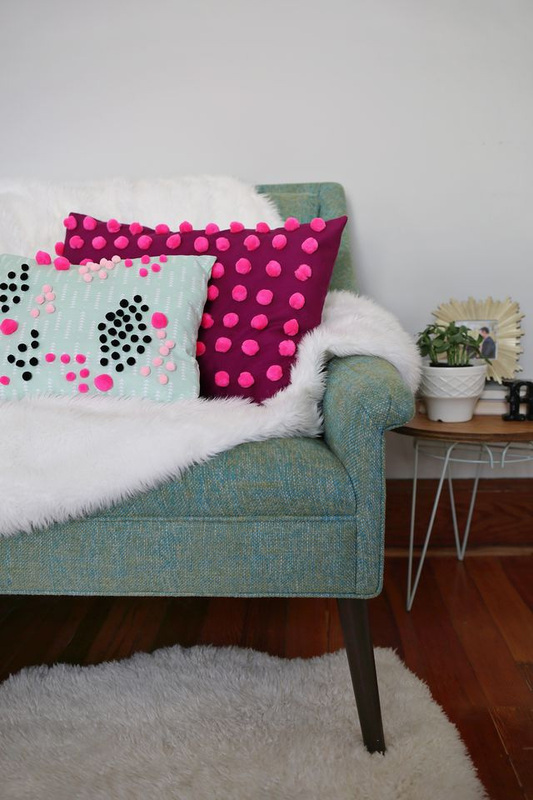 Pimp you pillows with pom poms. 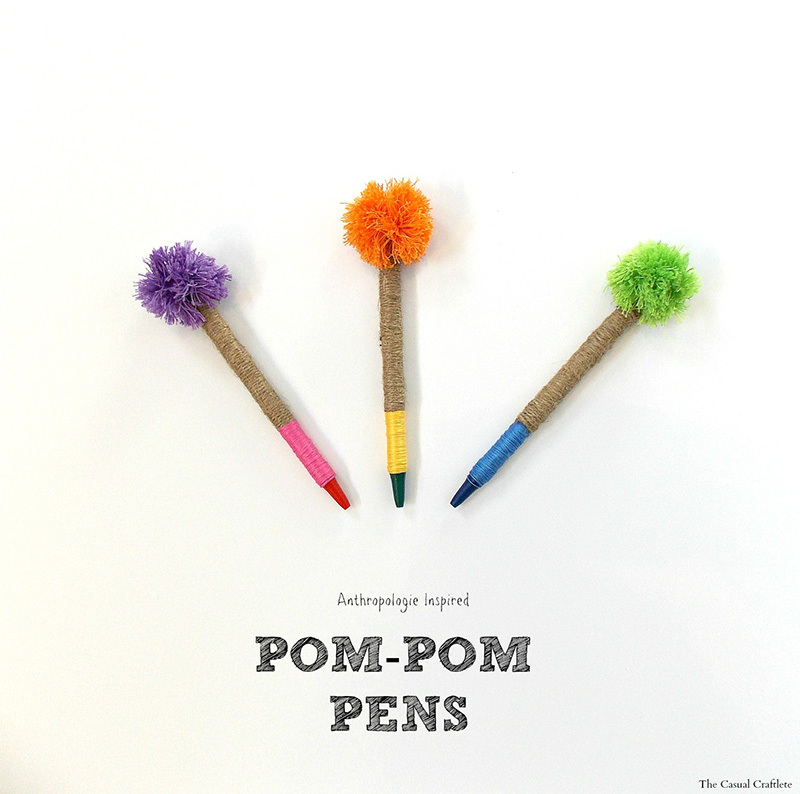 I want to make some of these funky looking Anthropologie inspired pom pom pens. These letters look like they are great fun to make and would make a fantastic decoration for a bedroom. With all that lovely soft yarn I bet this rug feels lovely underfoot. How about some colourful bookmarks to go with your pom pom pens. 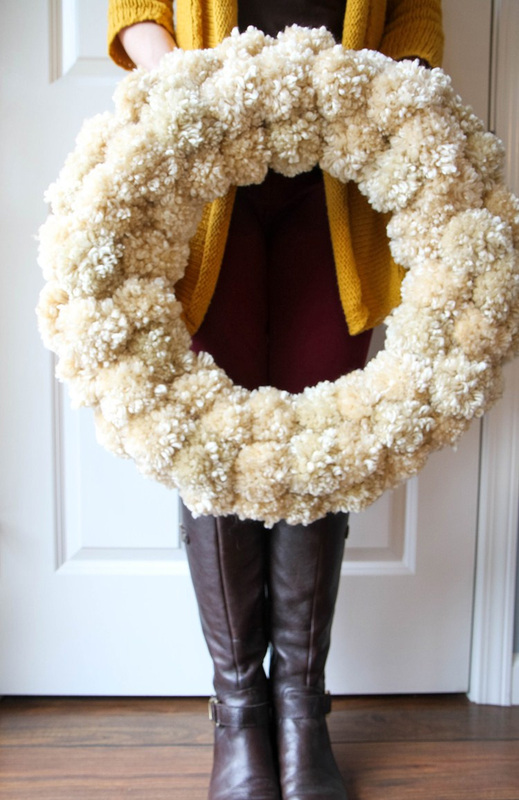 This wreath would make a gorgeous seasonal door decoration. These flowers will never wilt and die. 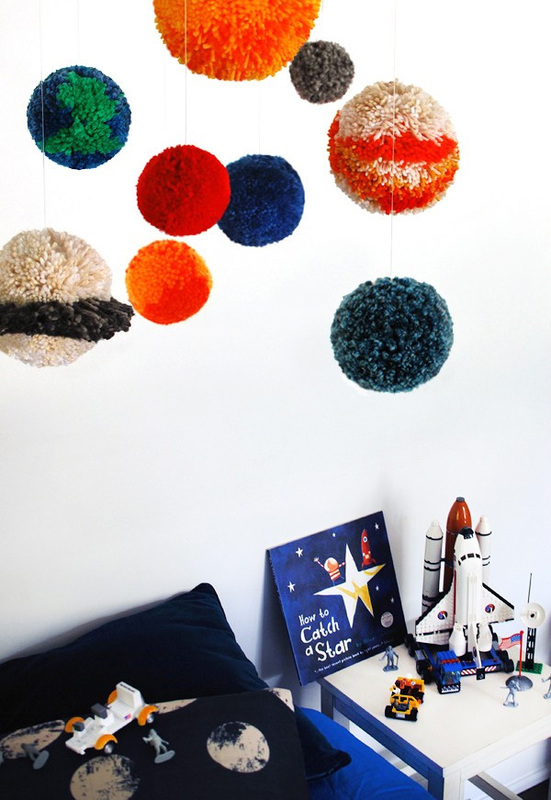 This is a fantastic pom pom project to make with children and would look great in their bedroom. 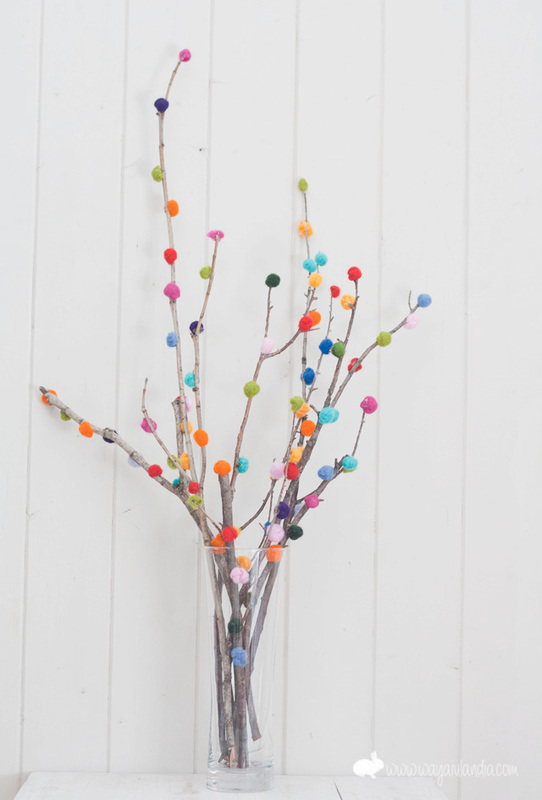 There is nothing like a Pom Pom garland to add instant colourful decoration and who says pom poms have to be small. Which one is your favourite? I fancy making the solar system, I think it would be a great activity to do with my Beaver scout group. Wow, thank you so much for including my pom pom wreath. Although it took forever to finish (that’s a lot of pom poms!! ), it’s actually one of my favorite things in our house. Loved seeing all these sweet comments about it! Thank you! Your welcome, your pom-poms wreath was awesome. I love the pom rug but I can not read the instructions. They are written in another language. Do you know how I could get them in English? I would love to make it. ?? When I land on a blog in another language Google normally asks me if I want the page translated. So if you use google chrome as your browser it should give you this option. Or just cut and paste the text into Google translate. Hope that is helpful. Love the pom pom tree. What cute ideas. Thanks for linking up at Family Joy Blog Link Up Party this week. What a great bunch of pom pom projects Claire. I love pom poms! They kinda have a fun retro thing going for them that I adore. Those pillows are pure awesomeness, but love the rest too. Thanks so much for sharing at Vintage Charm. Thank you ! I agree how can you not love a Pom Pom. 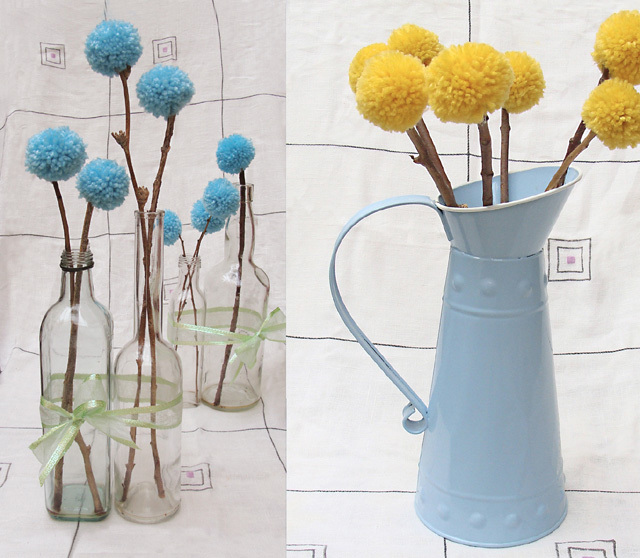 Really great ideas for using pom pom DIYs! I love the wreath the most I think… Thank you for sharing. Thank you ! & I agree with you about the wreath. 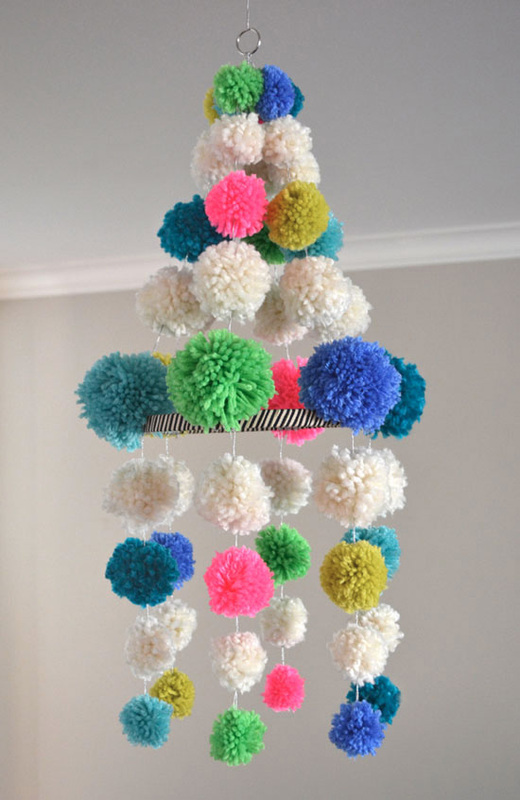 Pom-poms are so whimsical and fun! You came up with a lot of great ideas that I can’t wait to try. Thank you for sharing at the Celebrate Your Story Link Up Party. Thanks for featuring my pom pom flowers, now i’m wondering where that tablecloth is exactly, hmmm! And love those bookmarks, well everything actually, who can ever have enough pom poms? 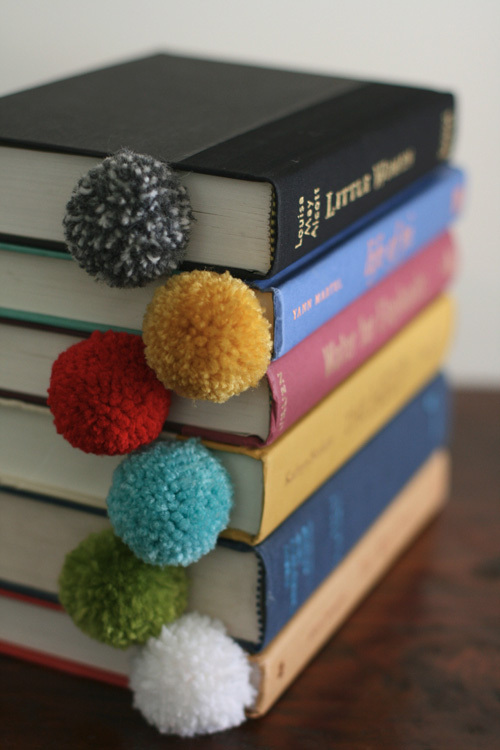 Check out the pom poms i made from fleece on my site, really fun too. Your welcome. I think Pom Pom flowers are great. These are all cute and look simple to do. Thanks ! The wreath does look gorgeous and very luxurious. I love the rug. And I just got a pom pom maker. Your post came just in time. Thanks ! I like the rug too, it looks really soft. 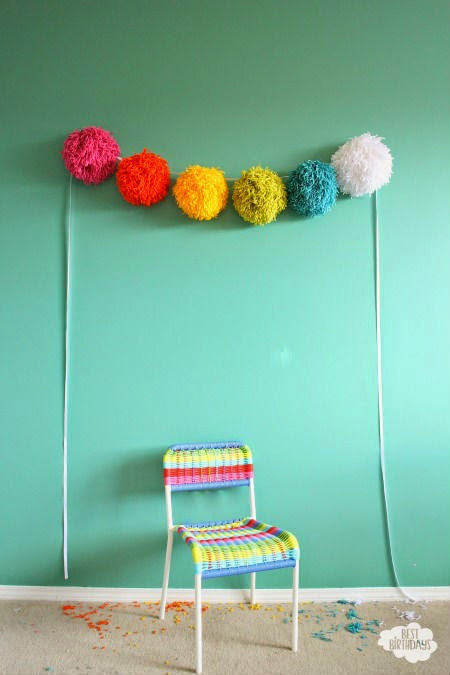 These are really great ideas for using pom pom DIYs! That rug is sooo beautiful! Thank you! Bet it’s really soft underfoot too. I think I like the wreath the best…but that rug looks like it would be so soft, and the branches with the pom poms on them are so fun and unexpected! I guess I love a lot of them! 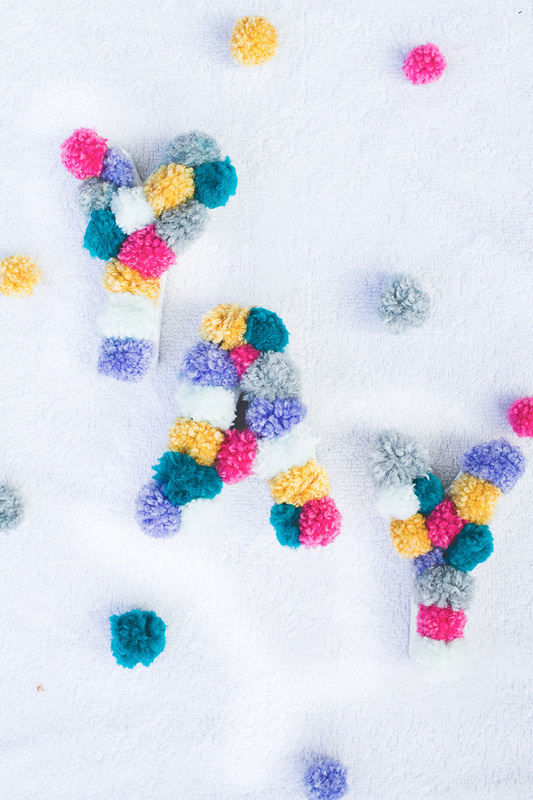 You are right, pom poms are just fun! 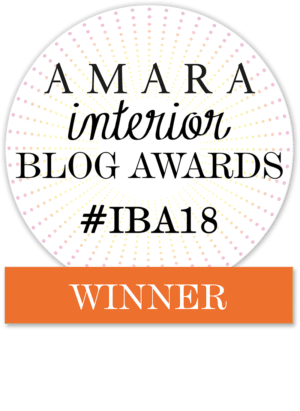 Thanks so much for sharing over at the Celebrate Your Story Link party! I am pinning this to my Crafty board! I hope it inspires lots of folks! Thank you very much. I think I agree with you with the wreath, it looks very luxurious ! All super fun! 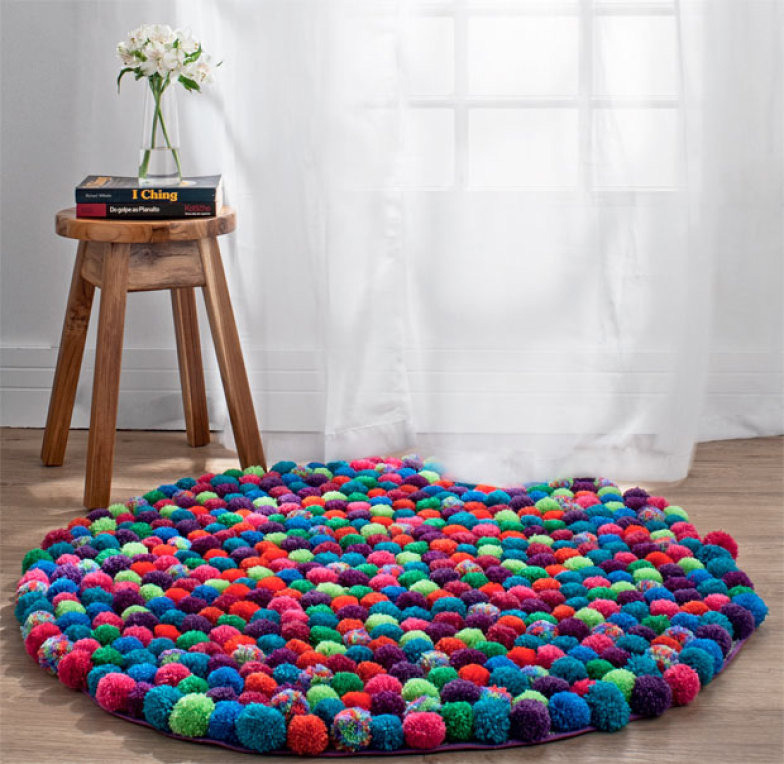 I’m partial to the pom pom pillows and throw rug but with my young kids, I could see these getting destroyed. Will file these ideas away for a few more years! Visiting from Mad Skills party. Thank you ! You could always get them to make their own pom poms to play with.